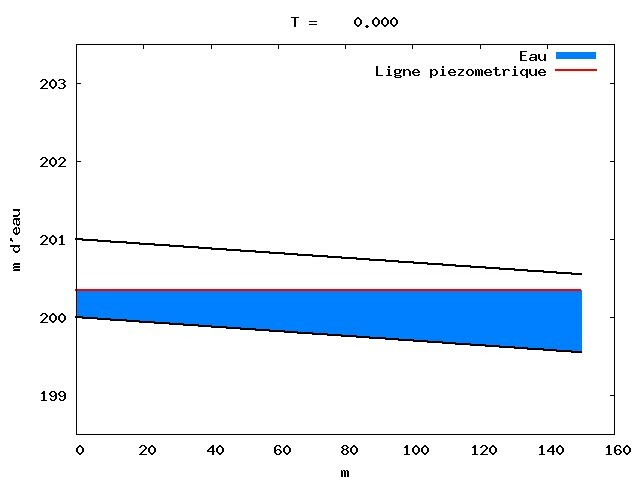 EDPs2 : "Partial derivative equations : deterministic and probabilistic studies"
The EDPs2 team is based on the federative topic of non linear partial derivative equations. This team is made up of several professors and researchers, all of them completing one another, specialists in analysis and/or scientific calculation of partial derivative equations, theory of stochastic processes and/or numerical probabilities. This recent grouping (mixing deterministic and sotchastic aspects : theory and scientific calculation) is both original and ambitious, and matches the real need of a better understanding of complex systems all around us (environment, biology-medicine, industry, ...). 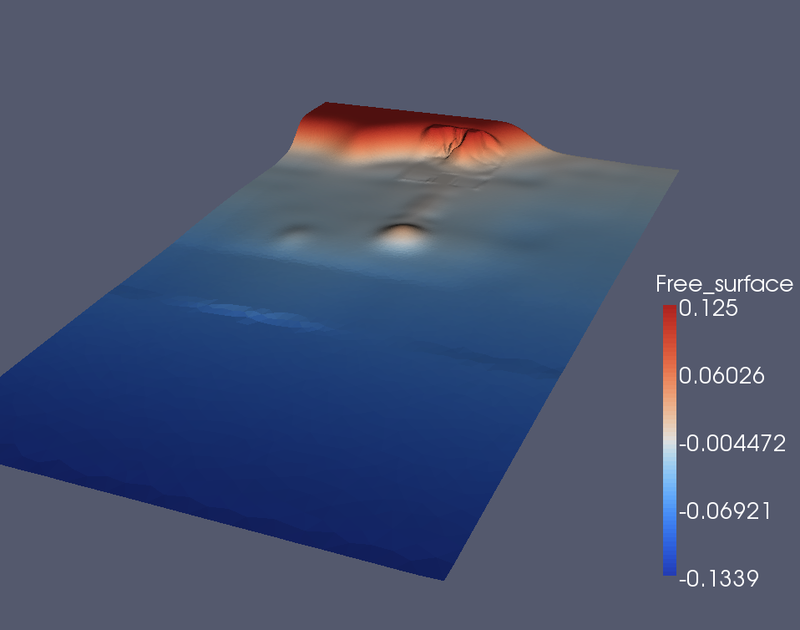 It allows for example to tackle with different points of view : free boundary problems (dynamic and stable states, image processing, support evolution), scale and multiple physics problems (complex fluids, image processing), problems about homogenisation effects and defect measures (roughness, breaks), optimization and identification problems (optimal transport, data assimilation, parameter identification). Well-posedness caracter of strongly non linear equations. D. Bresch & B. Desjardins. Equations of Saint-Venant. D. Bresch & P. Noble. / D. Bresch, M. Gisclon & C.K. Lin. Own values crossing. D. Bresch, B. Desjardins & E. Grenier. Existance and asymptotic behaviour of the solution for an absorbed wave equation with conditions at dynamic limits. S. Gerbi & B. Said-Houari. 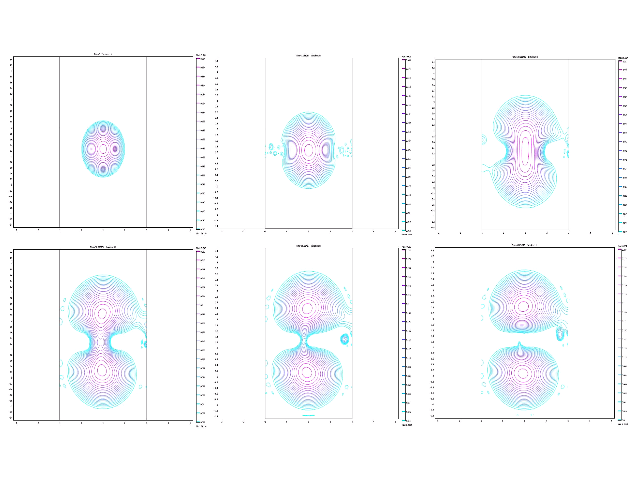 Stability of elliptic EDP solutions for disturbances of the geometric area. D. Bucur. 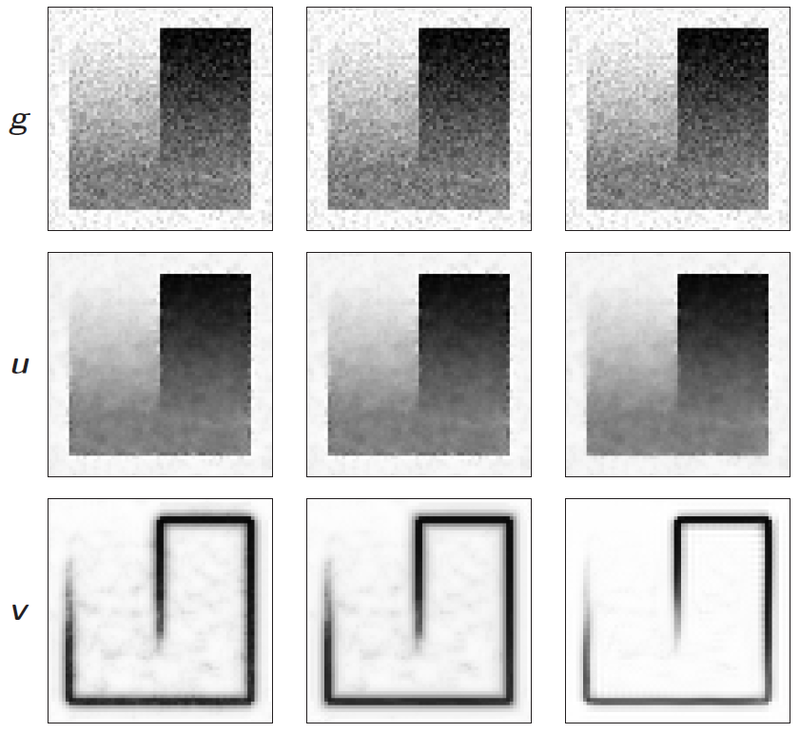 Roughness effects. D. Bucur, E. Fereirsl, S. Necasova. / D. Bresch, C. Choquet, L. Chupin, T. Colin, M. Gisclon. Stochastic quadratic non partitioned derivative equations. P. Briand, Y. Hu. 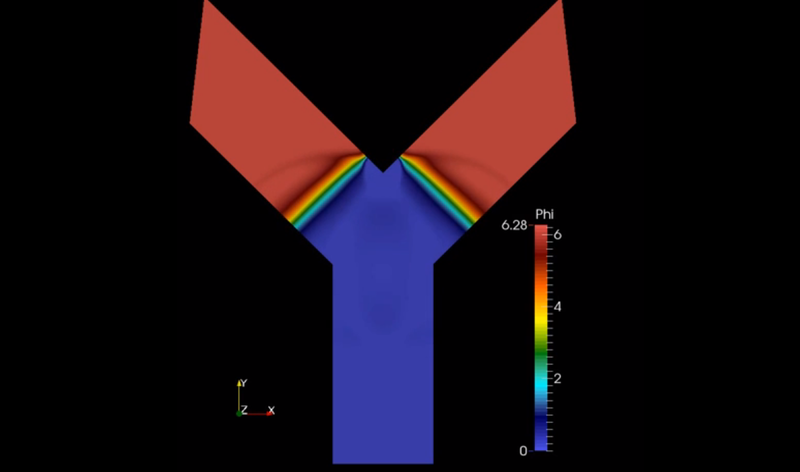 New kind of boundary layer induced instability. D. Dutykh. Chemistry EDP mathematical analysis : gas chromatography.C. Bourdarias, M. Gisclon & S. Junca. Asymptotic analysis in flow curves for a model of soft glassy fluids.J. Olivier. Click on the image to display the video. Click on the image to reach the zoom. Click on the image to reach the zoom. 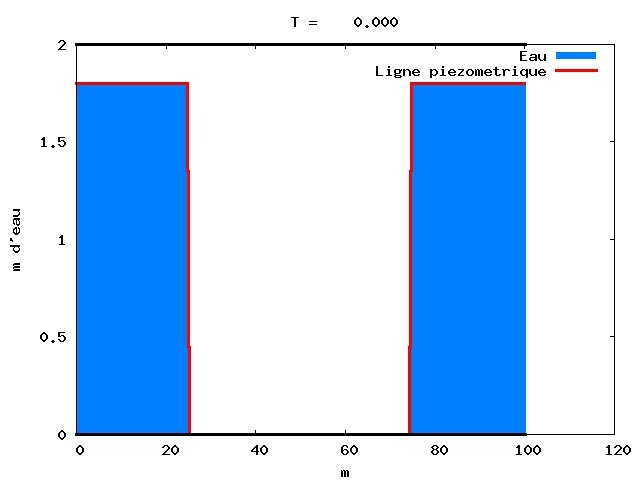 Numerical simulation of powder-snow avalanche interaction with an obstacle. D. Dutykh & C. Acary-Robert Tsunami simulation with VOLNA code: Okushiri island event (1993). D. Dutykh & R. Poncet Optimal partitionning. Evolution of the volumic fraction of the snow, function of time. Water injection in an empty and downstream closed pipe. C. Bourdarias, M. Ersoy & S. Gerbi Double water injection in an empty and downstream closed pipe. C. Bourdarias, M. Ersoy & S. Gerbi Simulations of flows in pipes. Flow on a dry bottom, water hammer, upstream drying out. Initial state. Click on the image to display the video. Water hammer for a 150m long, 2m diameter pipe on a 0.3% slope. Initial state. Click on the image to display the video. Kelvin's problem. E. Oudet. 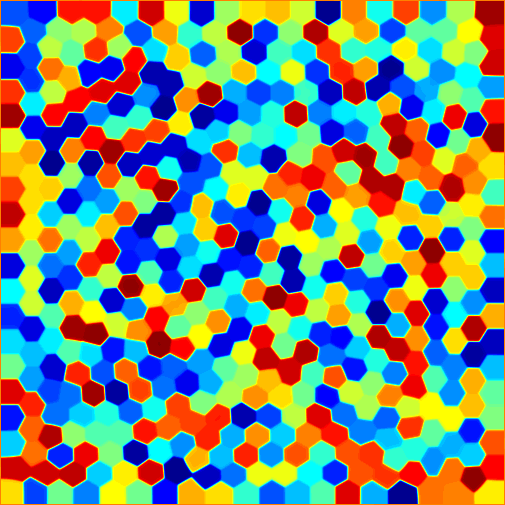 Optimization of 8 densities in a cube with periodic conditions. What space-filling arrangement of similar cells of equal volume has minimal surface area ? 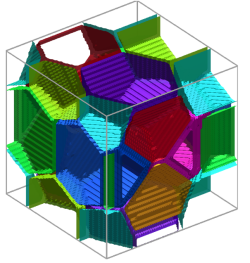 We rediscover the counter example of Weaire and Phelan's (1994) : a space-filling unit cell consisting of six 14-sided polyhedra and two 12-sided polyhedra. 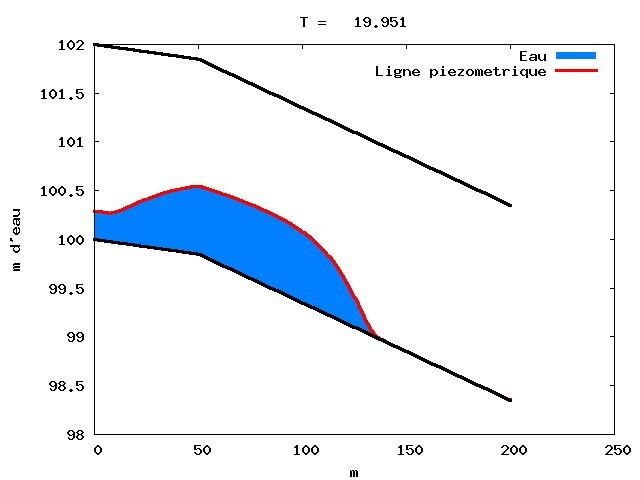 P. Briand & E. Idée Resolution through finished elements of the lubrication equation. J. Frassy & C. Lécot. Weibull law W(2,Η,Γ). 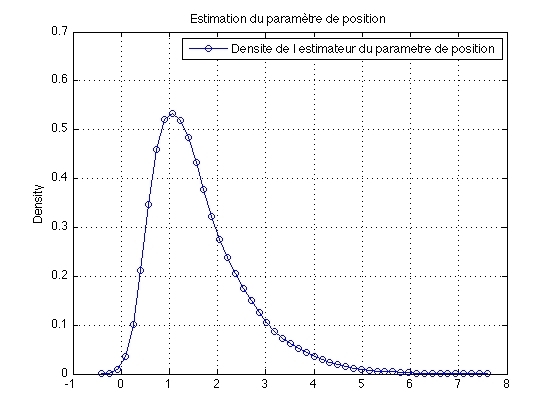 Evolution of the density of the Γ estimator;according to Γ/Η. Click on the image to display the video. We simulate the spreading of a water drop on a chemically heterogeneous substrate : the drop is put astride on a horizontal hydrophobic band which seperates 2 absorbant areas (up and below).